Three years after it first announced a major overhaul of its ERP solution, QAD has announced that QAD Cloud ERP 2018 is now available to buy. Back in September 2015 QAD announced a four-phase development program that would transform the architecture and end user experience of its cloud-based ERP systems. At the heart of the rebuild was the concept of platform mobility: run anywhere, anytime and on any device using a modern web browser interface. 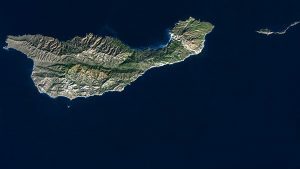 The company elected to call this the Channel Islands Initiative named after a group of islands that can be seen from the windows of its Santa Barbara, California offices. Jump forward to 2018 and the rebuilt project is now ready for release. “I’m excited to announce that QAD Cloud ERP with the Channel Islands UX and QAD Enterprise Platform is now generally available for customers and prospective customers,” said Bill Keese, senior vice president of research and development for QAD. The Channel Islands UX now provides over 40 supported roles with 16 optimized for end-to-end business process support. A new Operations Action Center. This provides visibility of repetitive and work order manufacturing performance and a new Maintenance Action Center. Performance enhancements were made to Action Centers. It includes a large data query service supported by a data lake. Asset Management offers enhanced maintenance request, maintenance order close functionality, and project visualization capabilities to provide deeper project insight. Enhancements in Customer Management and Service Management. QAD Financials features several functional improvements in the areas of revenue recognition, accounts payable and accounts receivable. The latest version of the QAD Enterprise Platform allows users and developers to add data model extensions and UI script. QAD Enterprise Applications. QAD’s on-premise ERP solution, now offers the Channel Islands UX and QAD Enterprise Platform to early adopter customers. In theory this new variant of the cloud-based ERP solution should allow manufacturers to deal with change more efficiently. Where once organisations were happy to pay for a full-service solution, they now want a self-service environment. The idea being they can personalise a solution for their staff themselves without the need to hire in developers. This all folds back into the idea of an agile enterprise. A business which can respond to business change quickly and efficiently. Something that is ever critical in the manufacturing arena. Next articleSearch only part of a Word Document or an Excel Spreadsheet.